As teased, we have seen Gearbox make their Borderlands 3 announcement, along with the first details on the title. The first-person shooter will be getting more details on April 3. We do know it promises a lot of mayhem, new worlds and a billion guns! Keanu Reeves would be happy. Borderlands 3 was not the only game revealed too. There’s more from Gearbox down the page. 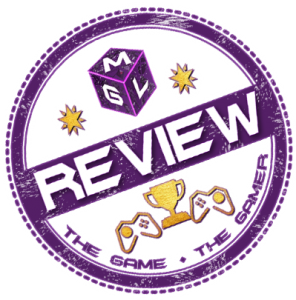 We’ll have more info will be on MGL soon, we’re certainly looking forward to seeing more. Check out some additional info on Borderlands 3 and more below guys. For more on upcoming games, go to our 2019 games hub here. There wasn’t too much on Borderlands 3 to go on, other than this good sized video. The whole detail behind the game is being teased for next week. Discover the co-op shooter-looter that started it all, crammed with additional content and enhancements! Equip bazillions of guns as one of four trigger-happy mercenaries, each with unique RPG skills. Take on the lawless, desolate planet of Pandora in pursuit of a powerful alien technology: The Vault. With brand new weapons, substantial visual upgrades, quality of life improvements, all four add-on packs, and more, Borderlands: Game of the Year Edition is the brand new definitive version of the award-winning 2009 first-person shooter/role-playing game hybrid, available now for the first time on current generation consoles. Visually Remastered: Xbox One X and PS4 Pro, players can enjoy 4K Ultra HD and HDR, though the improved lighting, textures, and character models shine on every platform. Applies to the base game, as well as all add-on content. Rewards Ready: With the addition of the SHiFT player rewards program, you can now use Golden Keys to unlock special in-game items and rewards. Returning SHiFT users who’ve played Borderlands 2 or The Pre-Sequel on PS4, Xbox One, or PC will receive 75 free Golden Keys, as well as two randomly selected all-new weapons, for their first newly-created Vault Hunter. Added Firepower: A new set of six named, custom-skinned Legendary weapons make the base game’s arsenal even deeper. Beat bosses or gather Golden Keys for a chance to collect ‘em all. Badder Boss Battle: In direct response to fan feedback, the campaign’s final boss encounter has been adjusted to be more engaging, challenging, and rewarding. Cosmetic Customization: For the first time, you will be able to customize your Vault Hunter beyond simply selecting a color scheme. Each of the four available characters has five brand new cosmetic heads unlocked and equippable right from the start of the game. Now Available on Modern Consoles: Borderlands: Game of the Year Edition makes the original Borderlands readily available on Xbox One and PlayStation 4 for the first time, in addition to providing a newly enhanced and visually remastered version for PC players. Free to Existing Owners on PC: If you already own the original Borderlands on Steam, you’ll be able to upgrade to Borderlands: Game of the Year Edition absolutely free. Bazillions of Guns: Rocket-launching shotguns, enemy-torching revolvers, SMGs that fire lightning rounds, and tons more procedurally generated firearms. Co-op Frenzy: Tear through the opposition as a crew of up to four, with four-player split-screen available on consoles and online co-op available across all platforms. Rich Universe: Uncover the rewarding mysteries, memorable inhabitants, and deep lore of Pandora—and the Borderlands narrative universe. Borderlands [Base Game]: The original shooter-looter in all its visually remastered glory. The Zombie Island of Doctor Ned [DLC]: Enter the corporate-owned small town known as Jakobs Cove and put an end to the rumors of the walking “undead.” New areas, new missions, new enemies, oh my! Mad Moxxi’s Underdome Riot [DLC]: Celebrate the grand opening of Marcus Bank by taking on hundreds of foes in the only competitive arena around where you come back famous… or not at all. The Secret Armory of General Knoxx [DLC]: Want more of the Borderlands story and more loot than you could possibly figure out what to do with? Add new guns, missions, vehicles and more! Claptrap’s New Robot Revolution [DLC]: This destructive adventure invites you to battle a vicious new threat: a massive uprising of your former friends, the Claptraps. This brand new Ultra HD texture pack increases the visual fidelity of Borderlands: The Handsome Collection and its DLC on consoles, and provides a visual upgrade for Borderlands 2, Borderlands: The Pre-Sequel, and all their DLC on PC! Upgrade game textures such as characters, vehicles, weapons, and environments. Players will best appreciate all the added detail at 4K resolution, but improvements can be enjoyed on other displays as well. The Handsome Collection offers the complete story of the franchise’s most iconic villain: Handsome Jack. The collection includes critically-acclaimed shooter-looters Borderlands 2 and Borderlands: The Pre-Sequel, along with all of the downloadable content for both titles. The Ultra HD Texture Pack is a free visual upgrade available to both new and existing product owners. On PlayStation 4 Pro, the texture pack will appear as downloadable content on the digital product page for Borderlands: The Handsome Collection. On PC and Xbox One X, players will have the option to download the texture pack for Borderlands: The Pre-Sequel and Borderlands 2 separately.